This article was originally published on the Marketing Score Blog. We decided to share it here as well because we think you'll find great value in it. Let us know what you think in the comments! A thorough assessment of your marketing foundation is essential to devising marketing strategies, selecting the right agency partners and allocating resources. If the core of your marketing program is strong, then you can leverage that foundation, and focus efforts on driving leads and sales. However, if your core is weak, then you’ll need to build the basics and properly align ROI expectations, and budgets. Section 4 of Marketing Score assesses 10 essential elements that directly impact your company’s strategy and performance. By no means is this an exhaustive list, but these elements are fundamental to your success. Brand Awareness: Do people recognize your brand name, and know what you do? While awareness is a somewhat intangible asset, marketers can track the success in building brand awareness through online reach (i.e. blog subscribers, Facebook likes, Twitter followers, LinkedIn group members and website visits), non-branded keyword search traffic, and brand engagement (i.e. blog comments and social media mentions). If you’re a startup, or even an established company entering a new market, your awareness is likely low. Your marketing strategy will often concentrate on top-of-the-funnel activities, including: blogging, social engagement and public relations. For more on measuring brand awareness and core metrics, check out Meltwater blog author Margaret Donnelly’s (@mwdonnelly) post, Roundtable Series: Building Brand Awareness. Brand Positioning: Strong brand positioning (i.e. clearly conveying your brand story and value proposition) leads to preference and purchase. Know who you are, what you stand for, and why it matters to your audiences. As Simon Sinek says in his brilliant TED Talk—How Great Leaders Inspire Action—"People don't buy what you do, they buy why you do it." Always be able to answer: why? Buyer Persona Profiles: Organizations with a deep understanding of their buyers are able to more effectively target their marketing activities on personal connections, and influence buying behavior. Consider pain points, needs, goals and communication preferences. Has your organization researched and defined your buyer personas? Do you know where and how they prefer to communicate, what information they’re looking for, and how best to reach them? Are these profiles known and understood clearly by members of your team? Competitive Advantage: Most likely, you’re not the only organization that offers your product/service; however, your key differentiating factors (i.e. brand awareness, unique product features, pricing model, sales process, talent, quality of product/service, etc. ), can set you apart from your competitors. What is your organization’s place in the market, and is it clearly expressed in marketing and sales content? If prompted, can your team clearly differentiate between its offering and that of the top 3-5 competitors? Customer Database: The size and quality of your customer database is one of the most critical assets in any marketing program. With a solid customer database, you can enhance marketing strategies deeper in the funnel to improve retention and loyalty—and drive revenue and profits. Do you keep an updated database of your customers’ information? How well does your team and customer relationship management system (CRM) maintain and use this database for marketing and sales activities? If you’re organization doesn’t have a CRM in place, evaluate and compare solutions such as NetSuite, SalesForce, Sugar and Oracle. Lead Database: Do your marketing and sales teams manage a database for tracking online and offline leads? How do you gather lead information, and what process do you use for scoring them to identify top-quality leads? The quality of your lead database impacts your ability to draw qualified leads through the funnel and convert them into customers. Not only should this database be actively maintained with pertinent contact details, but it should also be segmented based on life-cycle stage and quality scoring. For tips on how to grade your leads, check out this HubSpot blog post by Corey Eridon (@Corey_bos), Lead Scoring: 13 Criteria You Should Be Using to Grade Leads. Opportunities for Growth: Solid products or services, smoothly run operations, and a talented team will position any company to take advantage of greater opportunities—from growing the bottom line to driving innovation within the industry. Based on the foundations in place, what opportunities are you positioned to go after (e.g. new markets, product innovations, partnerships)? Also consider the growth goals you identified while building out your Marketing Score profile. Sales/Marketing Integration: Information sharing between marketing and sales is key, as it can greatly impact the customer experience and increase the efficiency of the sales process. By sharing pertinent contact details between these departments, sales is able to offer a more targeted and personalized experience to each lead, building more contextual experiences based on past integrations with the organization. How strong is the communication between your marketing and sales teams, and what technologies are utilized to enable this dialogue? Sales Process: Sales cycles differ greatly depending on the product/service; however, whether it’s complex or simple, efficiently structured process is key. What processes does your organization have in place to seamlessly move customers from being a marketing qualified lead (MQL) to sales qualified lead (SQL)? And, how do you ensure that sales can deliver on marketing promises (and vice a versa)? Website: As the online front door of your business, your website is one of the most crucial elements to your marketing and sales programs. It should be an accurate reflection of your company’s brand, tell its story, house product/service information, enable contact information collection via forms, and serve as the key publishing tool for quality content. How well does your website speak to your buyer personas and other target audiences, serve as a lead-generation tool for marketing and sales, and enable publishing of content needed to support search and social media optimization? The strength of these 10 core marketing elements is critical to the success of the organization, from both a marketing and sales perspective. They help set the foundation that drives new leads, assists in customer conversions, and encourages brand loyalty. See how 300+ marketers, executives and entrepreneurs rated their organizations in the 2014 Marketing Score Report (FREE). If you haven't taken Marketing Score for your organization yet, sign up today and complete your free assessment. How well did you rate your organization on these 10 marketing cores? What areas stand out as needing the most attention, and what actions will you take now to make the necessary improvements? 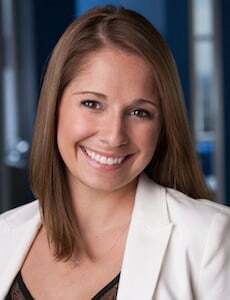 Dia Dalsky was formerly the director of culture and a senior consultant at PR 20/20.